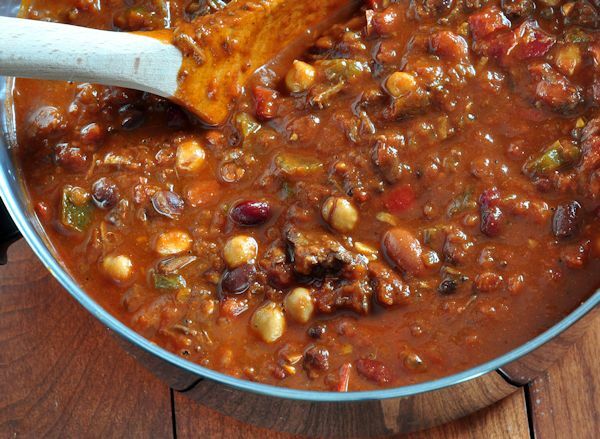 Did you know that today is National Chili Day? I am not sure who decides these things, but as was the case with National Margarita Day last Saturday, I am a pretty big fan of this one. Chili is one of the reasons that I can and freeze as many stewed tomatoes as possible every fall. The work seems lighter when I concentrate on pots of bubbling tomato-ey goodness to come, instead of the fact that Larry just brought in yet another 5 gallon pail of ripe tomatoes. I make a lot of different kinds of chili, but this has become our favorite. I began work on it last winter, and 6 or 7 batches later, I feel that I finally have it to the point where I can share it here. I wanted to get it just right, because it is a bit of a time commitment to make it – this is definitely not a quick week-night meal. It cooks about 4 hours all together, but if you are kicking back around the house on a Saturday afternoon anyway, I can think of no better thing to have going on in the background. 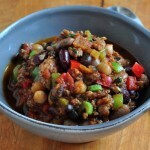 The deep rich flavors that you are going to develop in this chili do take a number of steps – techniques, if you will – but the result is layered with subtle flavors that it bring up several levels from the ordinary. 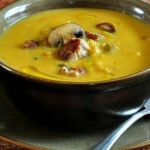 The techniques are not difficult by any means, and they are good things to have in your cooking arsenal anyway, because they are also really good in a number of other dishes as well. This recipe makes a lot – which to my way of thinking is a very good thing. 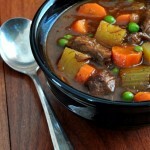 It will feed a crowd – or you can freeze it in containers the right size for a meal for your family. We get 4 dinners from a batch, plus a couple lunches. 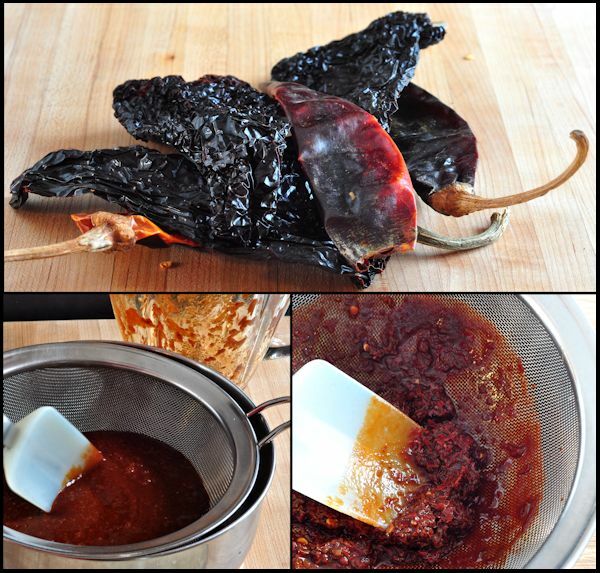 We get started with dried chilies – Guajillo and Ancho to be exact. These used to be difficult to find outside the western part of the country, but are pretty widely available in supermarkets now, as well as online. These two kinds of peppers are moderately spicy, and each also has an almost fruity quality that helps balance the flavor. The peppers are lightly toasted to soften them a bit, soaked in boiling water, blended to a thin paste, and then strained to removed seeds and skin. It sounds a lot more complicated than it is, and you can do them in largish batches and freeze the strained paste to use later, This same technique is the start of enchilada and mole sauces, as well as a number of other dishes, so it’s a useful thing to master. You just can’t get the same flavor with ground chili powders. The steak is trimmed, cut into 1/2 pieces and deeply browned in oil. This takes some patience, but is so worth the trouble because you need that deep caramelization to bring as much beefy flavor as possible to this dish. 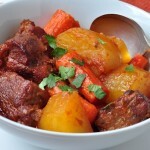 The same is true for other beef dishes, like stews, pot roasts and braises – get a lot of color on there, because that means so much more flavor in the final result. After you get everything in the pot, it is easy street, because you just have to stir it every so often. The long cooking time gives the flavors time to meld and deepen. Let’s get going! 4 cans of beans - whatever combination you like: kidney beans, pinto beans, black beans, chick peas, cannellini beans, etc. Lightly toast the chilies in an iron or stainless steel skillet. Remove the stems and shake out most of the seeds and discard. Place the the chilies in a bowl, and cover with the boiling water for about 15 minutes. Place the chilies and water in a blender, and blend on high speed until liquified. Pour the chili mixture into a mesh strainer to remove the bits of skin and the seeds, pushing the mixture around with a spoon or rubber spatula. Set aside, but keep the blender handy. Trim large bits if fat from the steak, and remove any gristle or silver skin. You don't want to remove all the fat by any means, but large areas can be removed and discarded. Pat all the surfaces of the meat with a folded paper towel to remove any moisture. Sprinkle the steak cubes with kosher salt and freshly ground black pepper. Heat about 1 tablespoon of the oil in a large pot - 8 quarts will hold everything nicely. Keeping the heat under the pan fairly high, brown the steak in small batches, making sure there is ample space around the chunks. Don't stir it at all when you first put the chunks in - wait until the first side has a really good sear on it. If you crowd the pan, the steak will begin to give off too much juice for it to brown properly. If that does happen, increase the heat and let the moisture boil away - once it does, the meat will begin to brown again. As it is done, the batches in a medium bowl and set aside. Repeat until all the steak is deeply browned, adding more oil as necessary. Once all of the steak is out of the pan, lower the heat to medium, add another tablespoon of oil and the onions and celery. Cook and stir to deglaze the pan, and soften the vegetables - about 5 minutes or so. Place 1 can of the tomatoes in the blender and blend on high speed for 30 seconds or so to completely break them down - add to the pan. 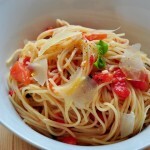 Place the second can of tomatoes in the blender and pulse a few times to get them down to large chunks - add to the pan. 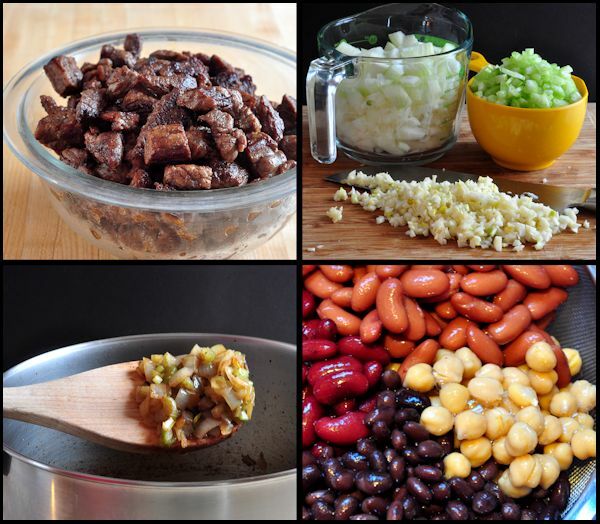 Add back the meat, the beef broth or water and the chili paste you made. Stir and taste the mixture - add salt of needed. Add the ground cumin, smoked paprika and oregano. Bring up to a simmer, cover the pan [leave the lid a little tilted so steam can escape, or it will sputter] and cook for about an hour, stirring a couple times. Add the diced green and red sweet peppers, stir, cover as before and cook 2 more hours. Check the steak to see if it is tender. If not, cook another 45 mins to an hour. When the steak is tender, cool off a little bit of chili to taste it and check on the heat level. If needed, add the chipotle chili powder - keeping in mind this will add a fair amount of heat, so only add as much as you think it needs. Drain and rinse the beans and add them to the pot. Cover as before, bring back up to simmer and cook for the final hour. Chop the chocolate, and add to the chili, stirring until completely melted. Remove the pan from the heat, and allow to sit for at least 10 minutes, or up to several hours, if you began early in the day. 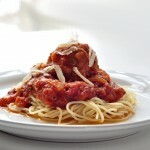 If it's for the longer time [which will improve the flavor], reheat again before serving. Serve with whatever topping you like - grated sharp cheese, sour cream, cubed avocado, chopped green onions, crumbled tortilla chips, etc. That is a pot of some amazing flavor. 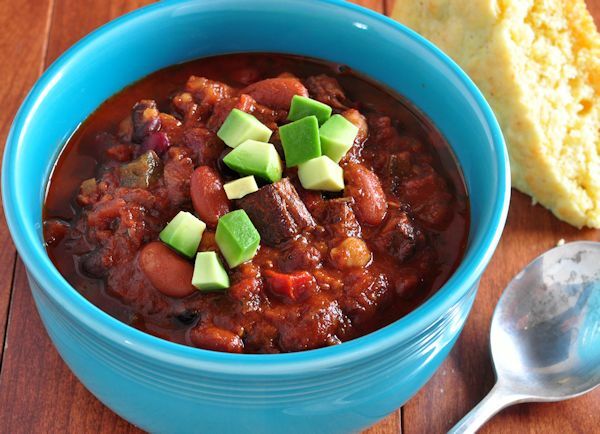 My favorite thing with Chuck Steak Chili – or any chili – is Buttermilk Cornbread . It’s a perfect combination. I am definitely going to give this a try. Can you tell me a good place online to buy chilies? 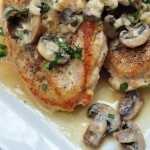 I can’t find them out here in east b-f. IThanks for a recipe that is going to be fun and maybe a little challenging! As another resident of east b-f [hilarious! ], I can relate. If you have a good sized Walmart nearby, they might have them – depends on how ethnic the population in the area is, I think. That is probably the most economical place to get them. Or, my friends at Great American Spice [http://www.americanspice.com/] carry numerous types of dried chilies. Oh wow, this chili looks SO good. 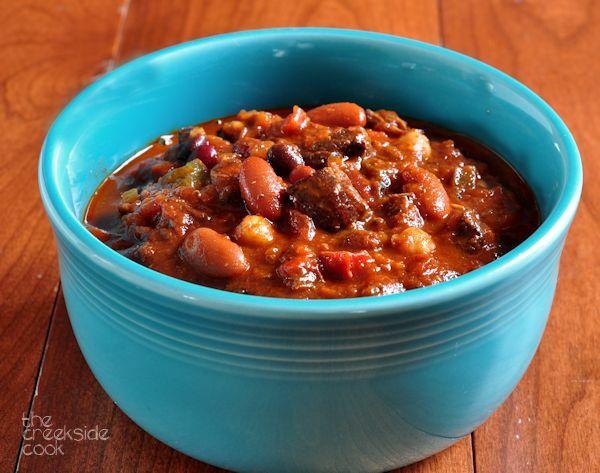 I love chili and have already put it on our menu plan for a dinner next week. Gotta get it in once more before the temperatures start warming up here! Yours looks fantastic. 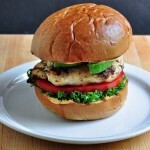 I hope you like the recipe Amy – thanks! 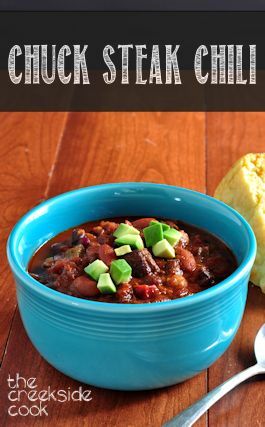 I love the dark rich color of your chili – I bet those dried chilies add tons of flavor! Thanks Jeanette – they are definitely worth the extra bother! Now this is chili. I mean serious chili! Being from Texas, I like a good bowl of chili and yours certainly sounds good. What a great sounding recipe, especially with those earthy dried chile. I to have a couple of recipes that I follow, but mostly start throwing stuff in. This looks like one of those follow and keeper recipes. I love chili! We have it at least once a week during the cooler months. Yours is inspired — this is great! Thanks so much. Thanks John – hope you give this one a try sometime! A chili with real chile sauce!! I love it! I can smell it and taste it buy just looking at your pictures. Great recipe! I had no idea that there is such a thing as national chili day, but I’m more than ready to join the celebration because ILOVE chili. There are so many varieties and such gorgeous flavors. Great post and amazing pictures.! Thanks & I agree Daniela – this is the kind of celebration that I am always happy to join!